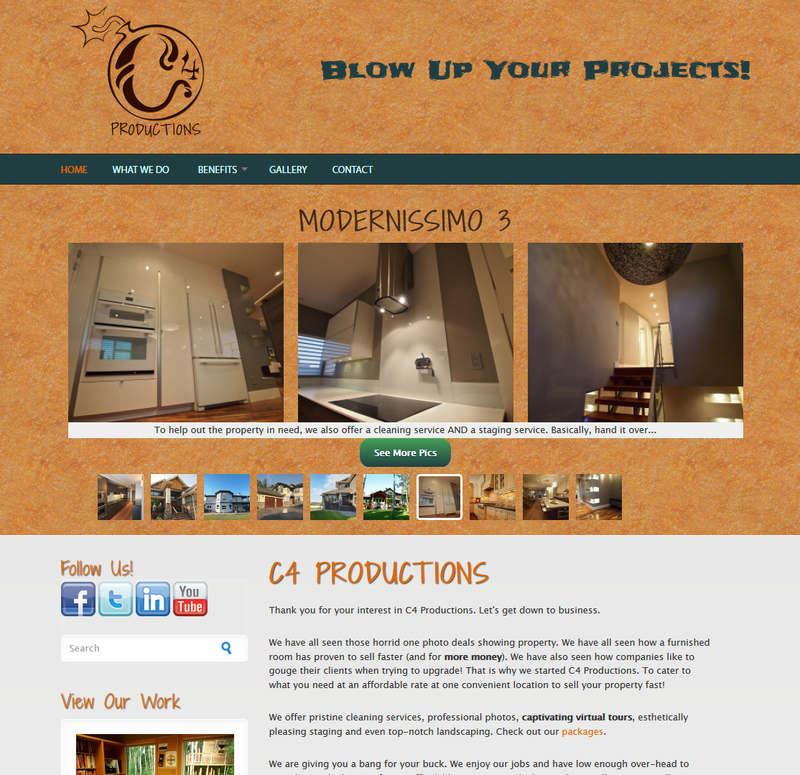 Launched brochure website for a home staging services company based in Alberta, Canada. Home staging is a (kind of) new and growing industry. Mr. Colin Bush employed Morrison Multimedia Inc. to "build a website" and that - we did. C4 Productions should have their phone on ice for the next year so it doesn't overheat while enjoying the traffic reaped from the search engine optimization built-in to the website.While it is a brand new site and will take some time to rank, we're confident the automatic optimization strategies in the software will win big for Colin. A lot of the optimization happens automatically actually, care of some tried and tested software built by the open-source community. C4 Productions has a place to showcase their work; and present it in a consistent, responsive, sleek, professional manner. Every time. Every time they upload new work. Every job potentially. As the home base for media (images and video), the website regularly pushes posts out to social media channels, at regular reliable intervals, at optimal times of the day for C4's visitors and prospective clients. Thinking of selling your home? Stage it with C4 Productions and you will sell faster and for more money! C4 will provide you the top-notch experience you deserve and you will get to work with one of the most creative people in Alberta! Watch for Colin in the comments!